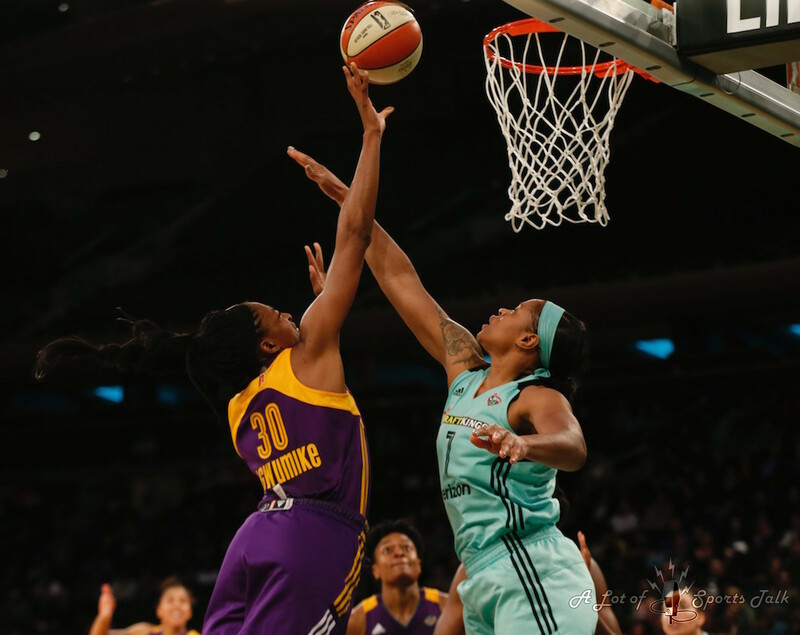 NEW YORK — The dynamic frontcourt duo of Candace Parker and Nneka Ogwumike made sure the Los Angeles Sparks got something positive from their first road trip of the 2017 season. 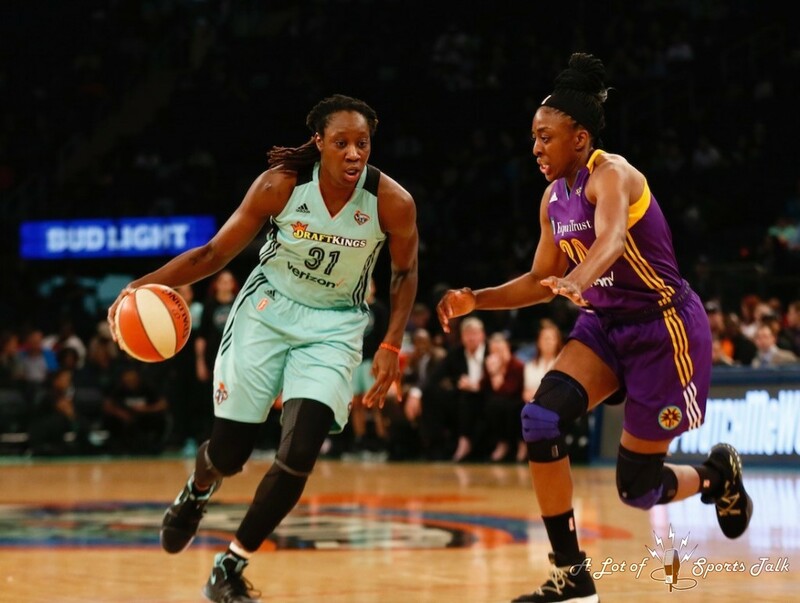 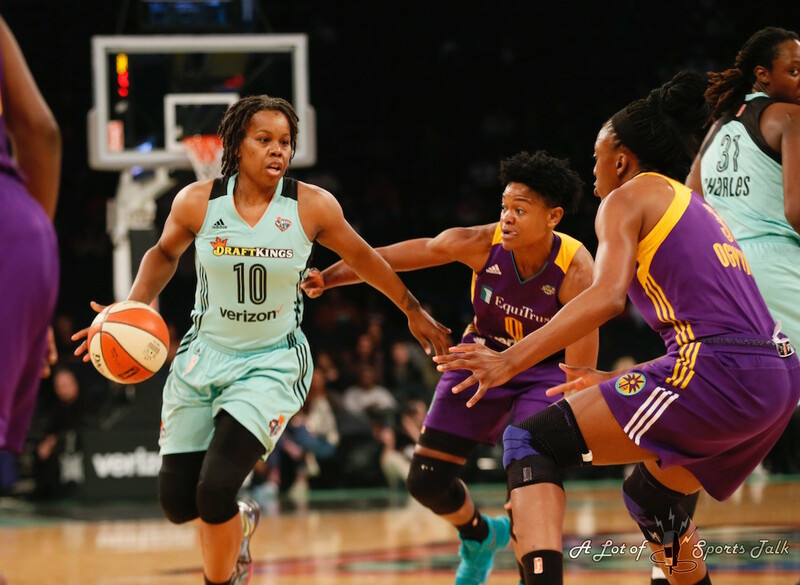 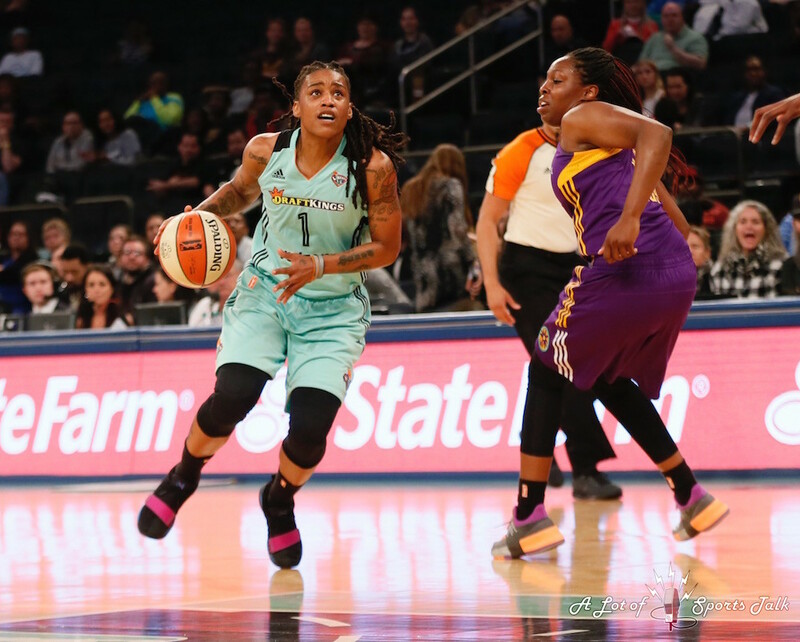 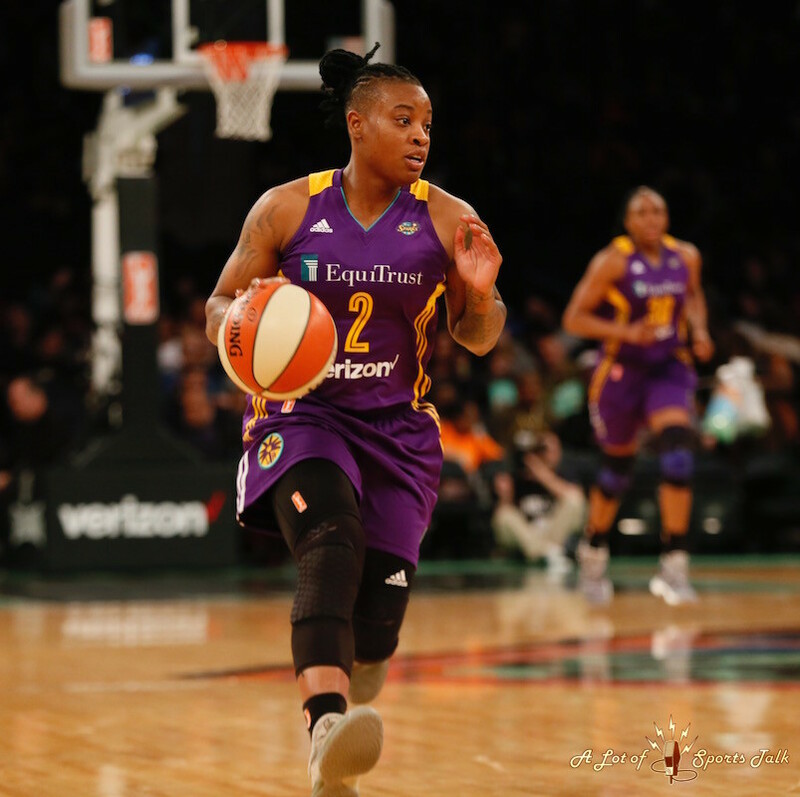 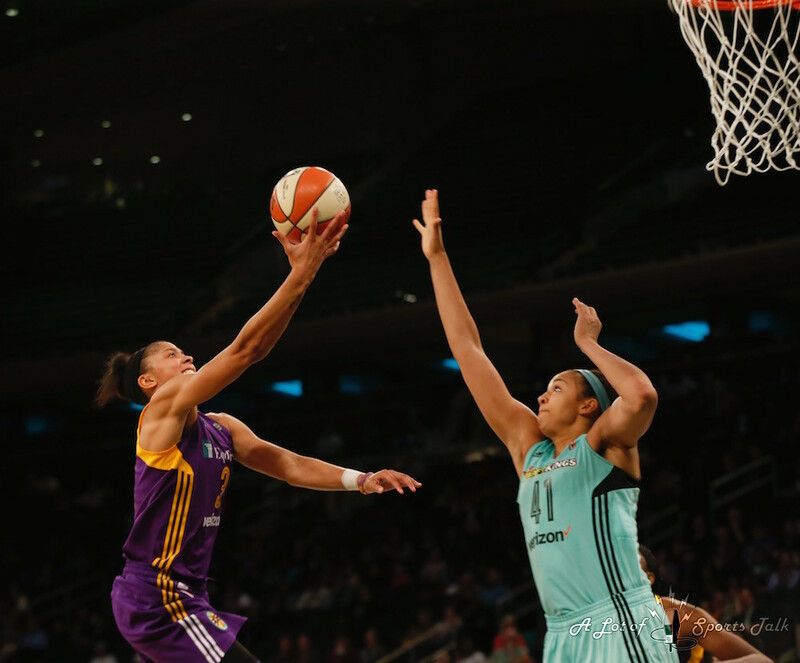 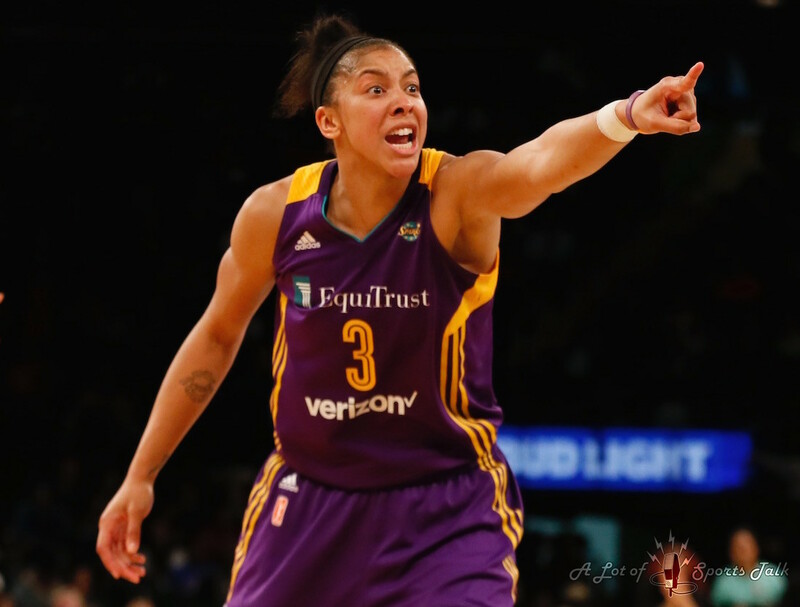 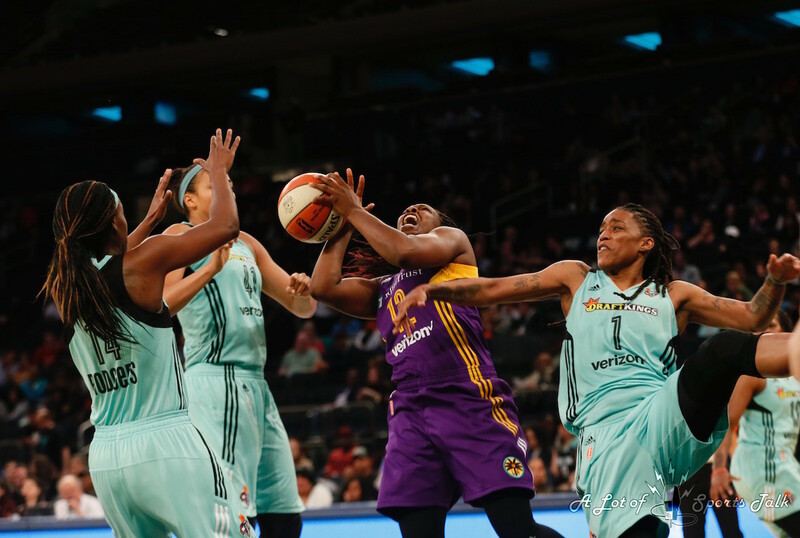 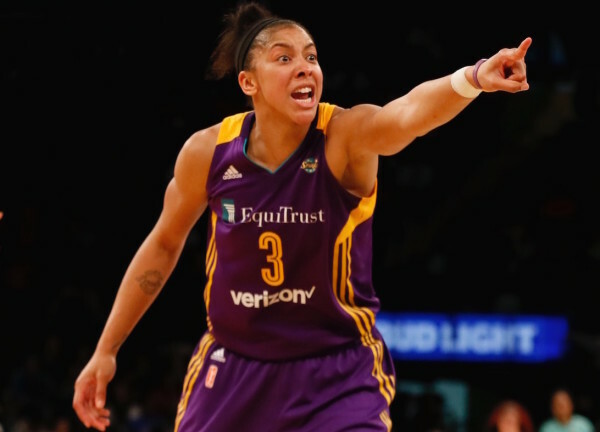 Los Angeles defeated the New York Liberty 90-75 in the latest matchup between two of the founding franchises of the WNBA, with Parker and Ogwumike combining for 32 second-half points as the Sparks completed their three-game road with a 1-2 record. 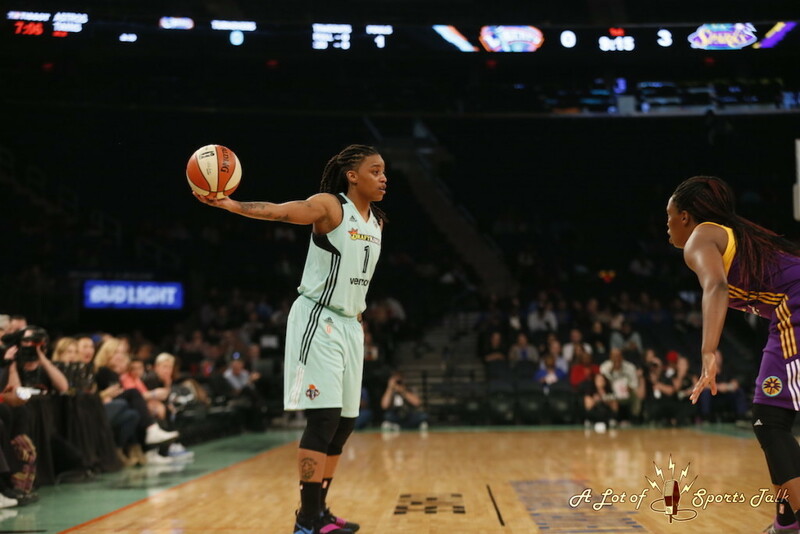 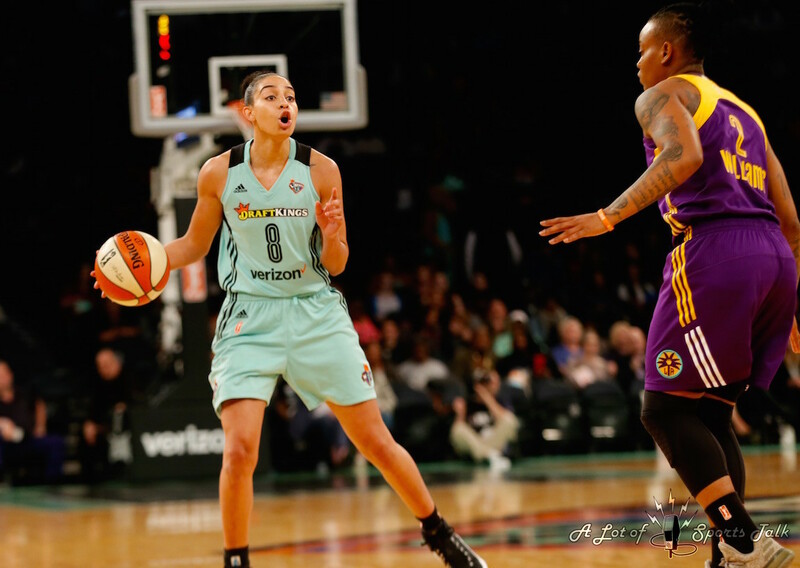 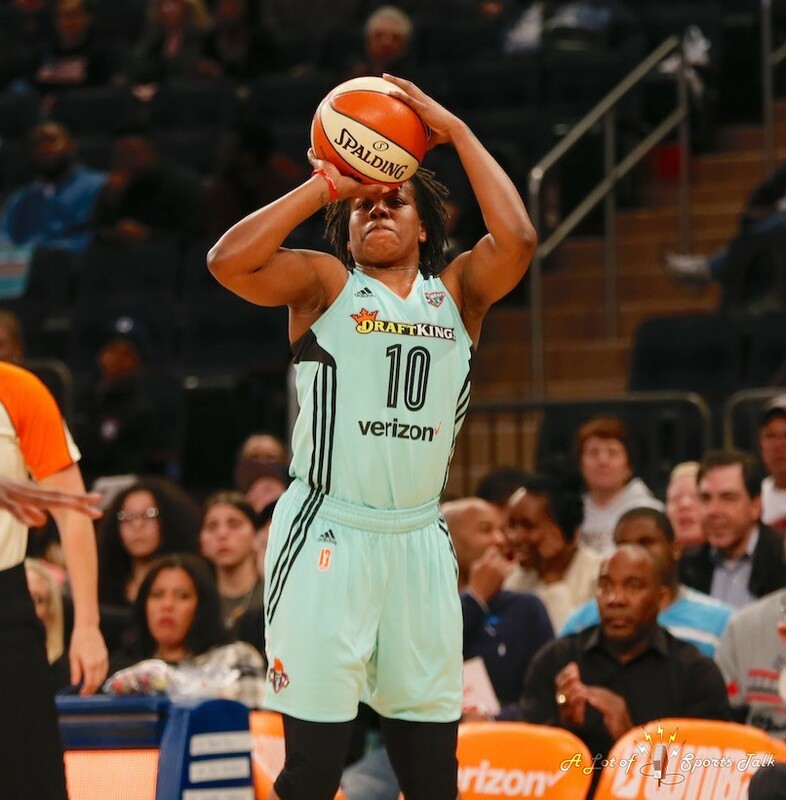 Parker, who only scored six points and did not attempt a free throw in Saturday’s road loss to the Atlanta Dream, was back to her All-Star self, scoring 12 of her 20 points in the second half after the Liberty went into the locker room with a 38-36 lead. Parker also had 11 rebounds, four assists, and finished 7-of-8 from the charity stripe. 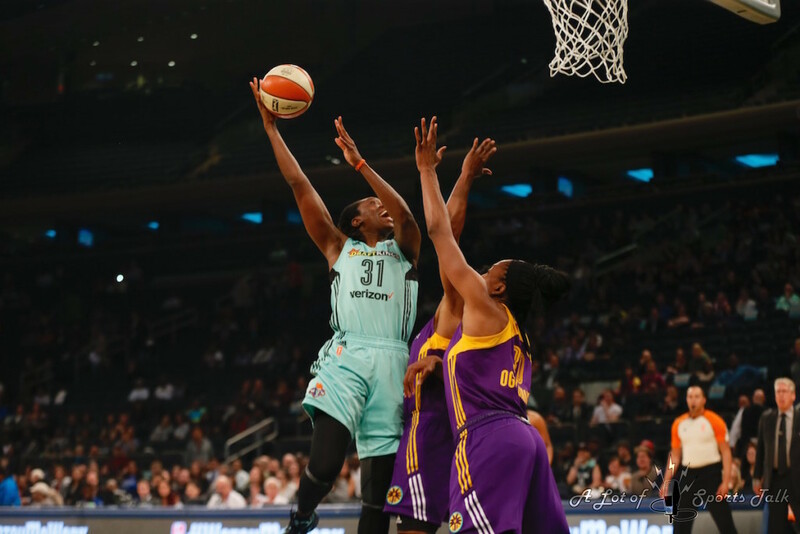 Ogwumike played the role of closer, scoring nine of her 22 points in the fourth quarter. 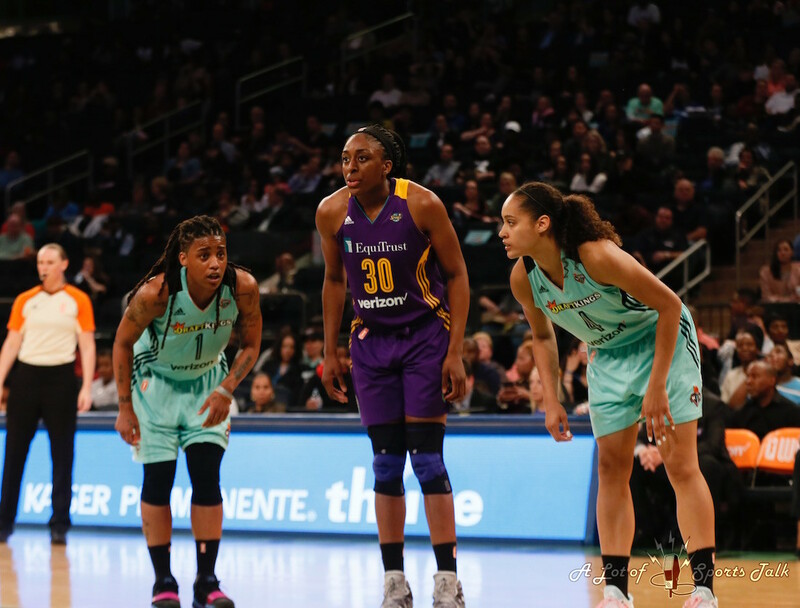 After taking a 66-64 lead into the fourth quarter, the Sparks started the fourth on an 11-0 run to build a 13-point lead. 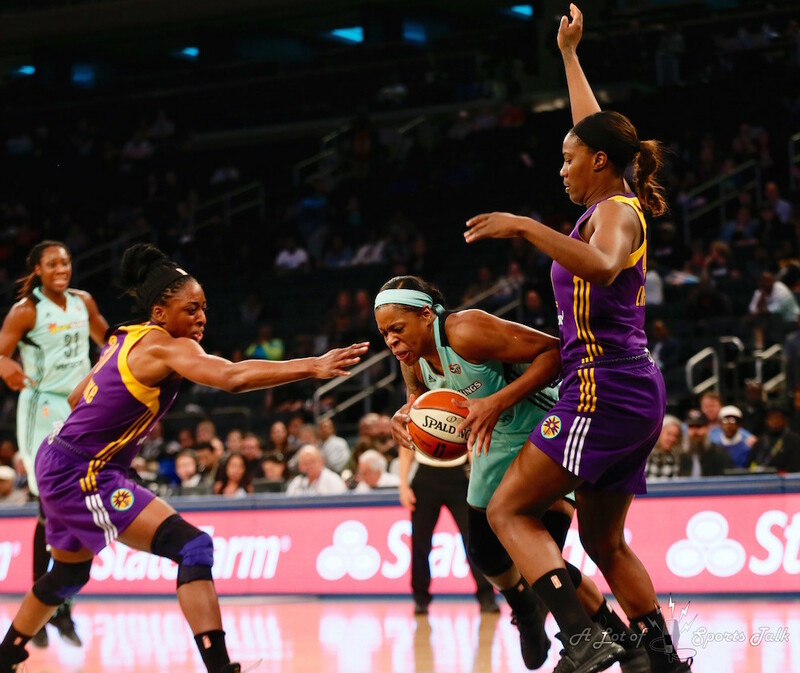 Los Angeles maintained a double-digit lead for almost the entirety of the fourth quarter after that run to start it. 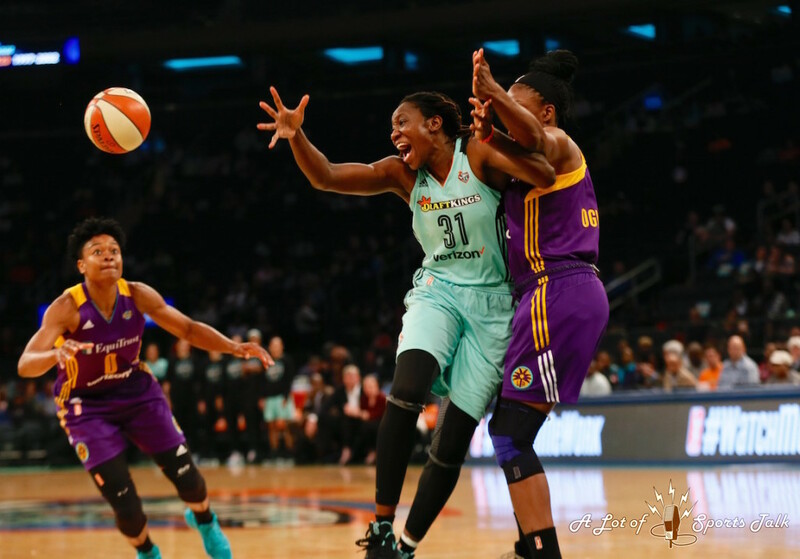 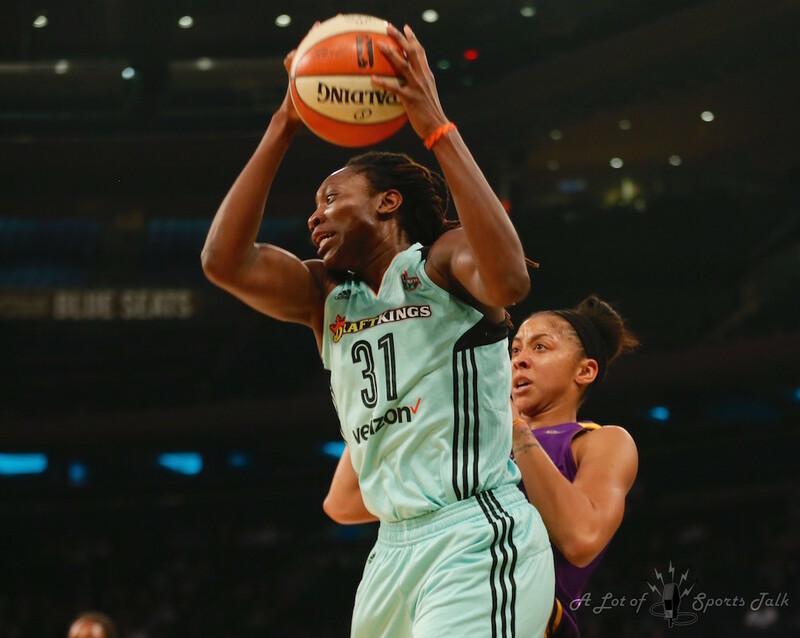 Liberty forward Tina Charles did everything she could for New York to keep up with the defending WNBA champions, scoring the team’s first 11 points of the game on her way to 19 first-half points (14 in the first quarter). 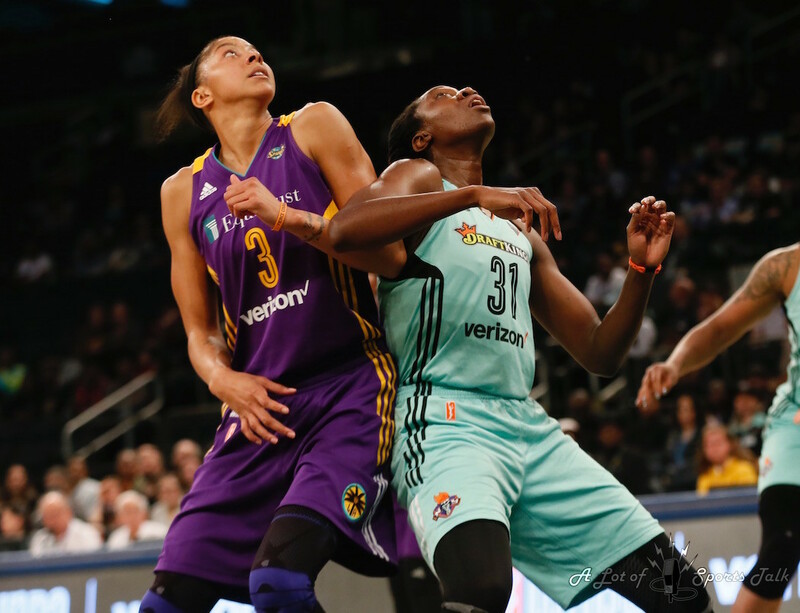 Foul trouble largely kept Charles from having an even bigger impact later in the contest, as she ended with 25 points. 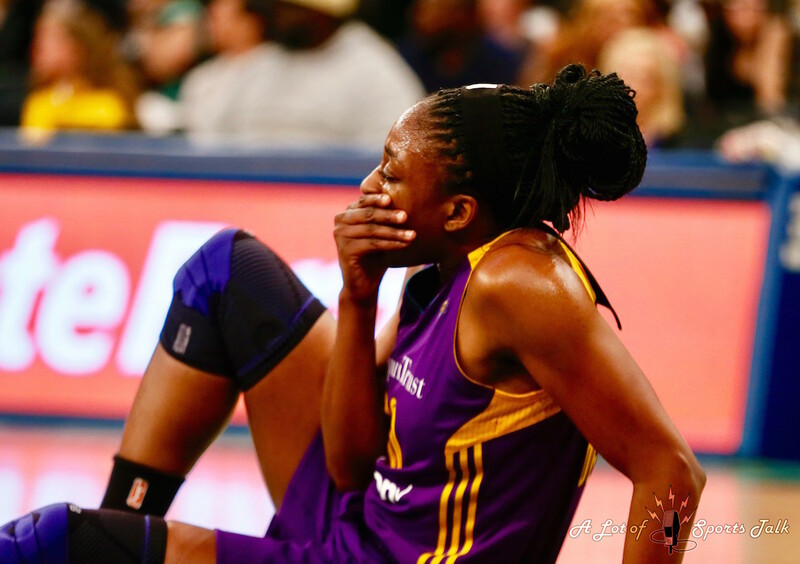 Charles, who was one of the leading candidates for the last season’s MVP award that was won by Ogwumike, may have to shoulder even more of the load for the Liberty over the next month, as guard Epiphanny Prince and center Kia Vaughn played their last game with the Liberty before heading to Europe to participate for the countries they represent in international play at the 2017 European Women Basketball Championship, a tournament which starts in two weeks in the Czech Republic. 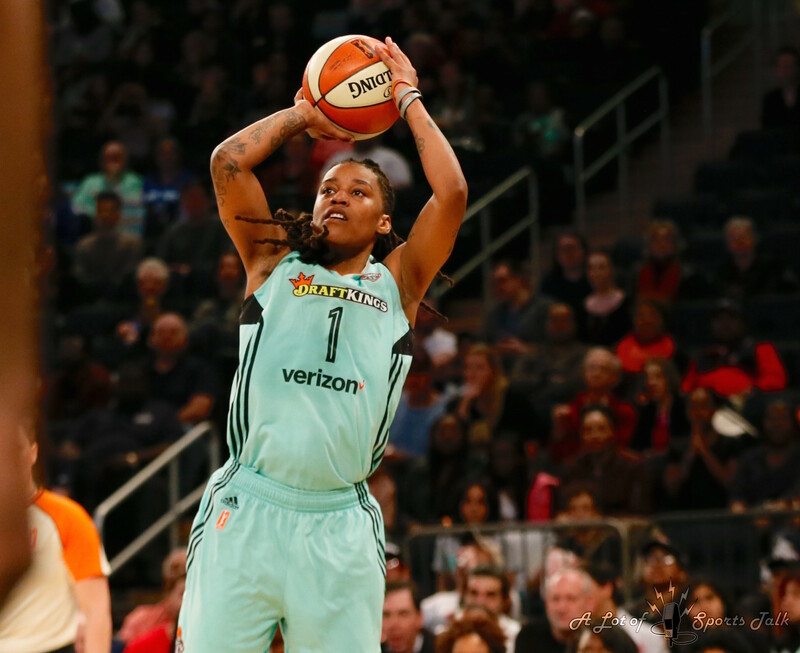 Prince ended tonight with 21 points and hit three three-pointers. 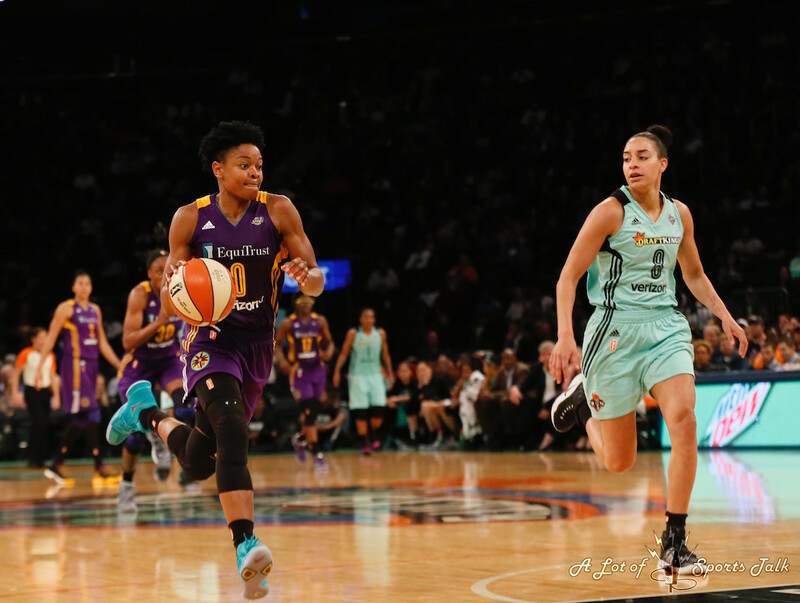 As always, our photographer, Robert Cole, was on the court snapping quality pictures, this time from the World’s Most Famous Arena. 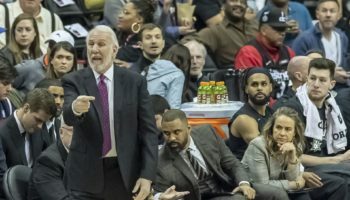 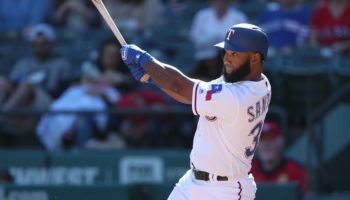 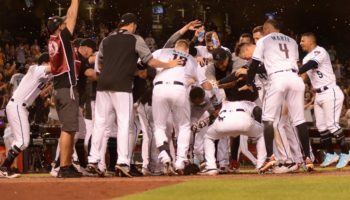 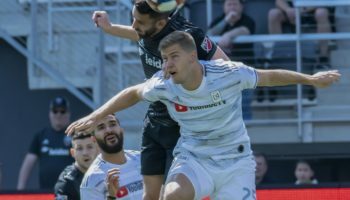 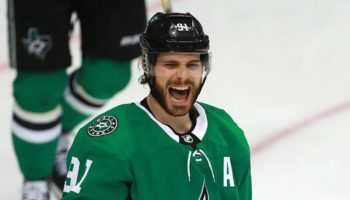 There are 20 photos in this gallery, and, after clicking on the first photo to enlarge the picture, make sure to press the left and right arrow buttons to scroll through the rest of the pictures.